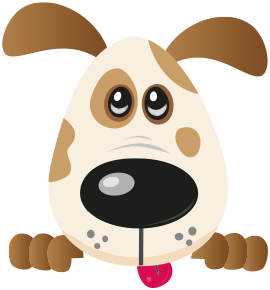 Four Paws was established in 2009 and is the longest established licenced doggie daycare centre in Cheshire West and Chester council authority. In more recent years we are proud to have added luxury board kennels, modern grooming salons, education and training services to our portfolio. Our specifically designed Doggie Daycare Centre is located within 40 acres of private farmland in Cuddington, Northwich which is in the heart of Cheshire. We welcome dogs of all shapes and sizes to join the Four Paws family. This unique environment allows dogs to interact as part of a social group. This is great for allowing young dogs to socialise and learn good manners but also allows mature dogs to enjoy canine companionship. At Four Paws we take the time to get to know you and your dog well so their day can be structured around your needs. - He likes a nap in the morning? Not a problem. - He wants to play with a ball all day? Not a problem. - He likes lunch at a certain time? Not a problem. Our friendly and approachable team are happy to help with any requests. Due to our ever evolving lifestyle and social activities, more and more of us find ourselves in positions where we have to leave our cherished pets home alone. We provide peace of mind that your pets are being mentally and physically exercised during the day, whether it be while you’re at work or enjoying the occasional day out. This can prevent mess in your home but also gives your dog interaction with their own kind thus allowing your dog to be a dog! Four Paws are here to help and want every dog to get the canine interaction and companionship they so rightly deserve. Whether it’s an odd day or 5 times a week you can be sure to have a relaxed and fulfilled pet on your safe return. We know that you love spending time walking your dog but sometimes time constraints during the working week make it difficult for your dog to get the attention, training, exercise and mental stimulation necessary to keep them happy and content. Often dogs that are left alone for long periods or deprived of exercise and social interaction become lethargic or destructive. Here at Four Paws we take the time to get to know you and your dog well so their day can be structured around your needs. He likes a nap in the morning? No problem. He wants to play with a ball all day? No problem. He likes lunch at a certain time? No problem. Our friendly and approachable team are happy to help with any requests.